You are going to Watch One Piece Episode 256 English dubbed online free episodes with HQ / high quality. 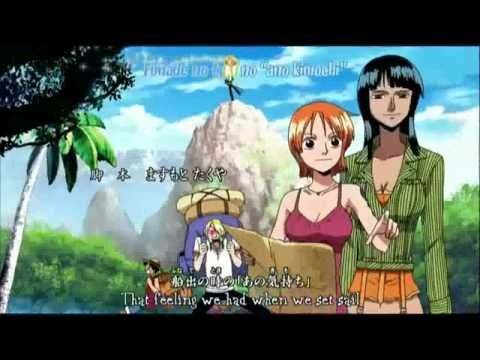 Stream Anime One Piece Episode 256 Online English dub Rescue our Friends! The Oath that Links the Enemies. The Rocket Man finally makes it out to sea. As the train connects with the tracks, Luffy has to rescue Chimney before she’s thrown off by the wind. In the meanwhile, Iceburg has a flashback about when he finally met Franky again in Water Seven. With Luffy and Chimney safe in the train, Paulie tells his fellow carpenters who the real culprits were. The Strawhats, Franky Family, and Galley La Company form an alliance. 4.8 / 5 - 54 ratings.